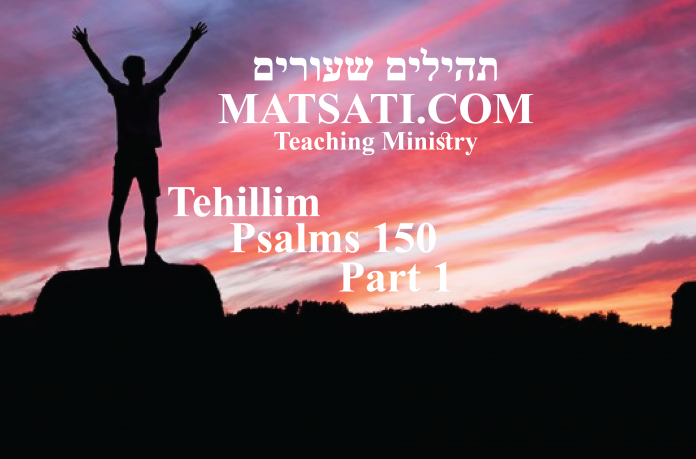 In this week’s study from Tehillim / Psalms 150:1-6, the psalm opens saying א הַלְלוּיָהּ | הַלְלוּ-אֵל בְּקָדְשׁוֹ הַלְלוּהוּ בִּרְקִיעַ עֻזּוֹ: 150:1 Praise the Lord! Praise God in His sanctuary; Praise Him in His mighty expanse. (NASB) When the psalmists speaks of praising God in His sanctuary, is he referring to the earthly sanctuary or the heavenly sanctuary? The reference to the mighty expanse, is this to all of the universe? The psalmist continues saying, ב הַלְלוּהוּ בִּגְבוּרֹתָיו הַלְלוּהוּ כְּרֹב גֻּדְּלוֹ: 150:2 Praise Him for His mighty deeds; Praise Him according to His excellent greatness. (NASB) The great deeds the Lord is praised for, are these a reference to His miracles, to his creation, or to the way he works in our lives?